Tango is a dance that distinguishes itself as an ever evolving language. A form of communication that can speak to the heart without uttering a word. It starts with walking. Next, walking with a partner. It grows with the magic of connection. The art of tango is to create connection: through deep listening; self-awareness; awareness of others; gratitude; joy. 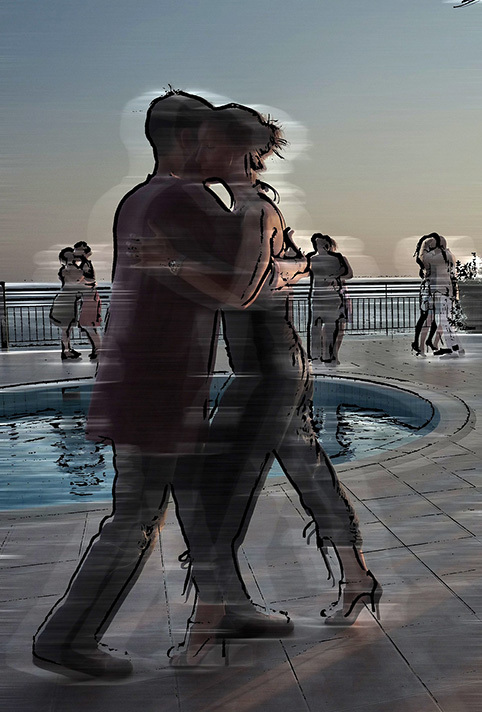 A walking tango practice gives us the opportunity for human-to-human connection and the passion (and perhaps peril) of the beautiful complexities of communication. How wonderful to be heard, to be held, to be human with humans. Of course, we also learn to understand the physics of our movements. There is logic to how it works. But I love the magic.